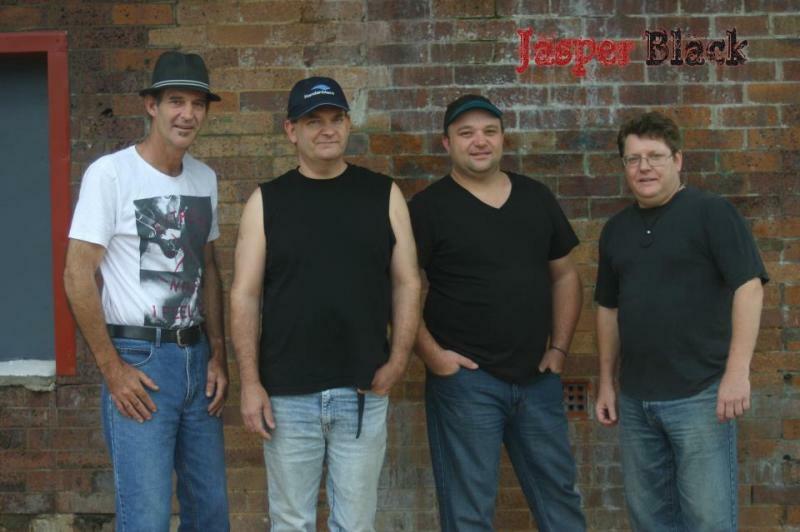 Jasper Black are a Toowoomba based covers band servicing South East Queensland, Western Downs, and Northern NSW. We play a variety of hits from the 60's, 70's right through to the 00's. We specialize in pubs, clubs, and private corporate events. Anywhere you need entertainment. 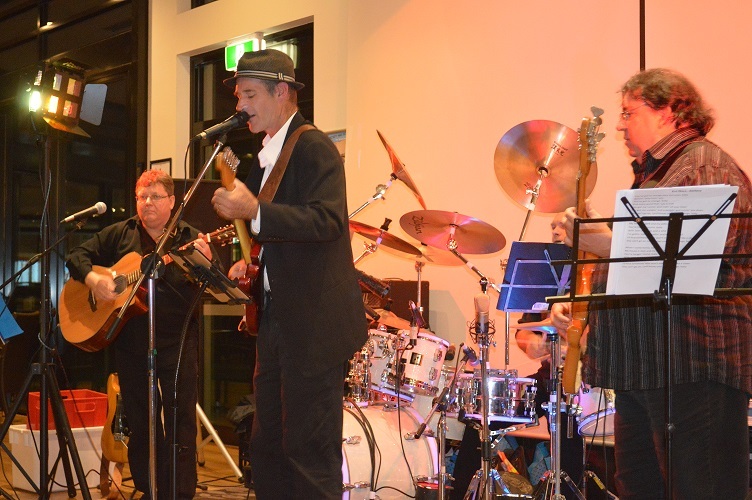 Jasper Black travel to country towns playing and entertaining many people who like classical rock (Ol'Rock n Roll) for all ages and we alway get the dance floor full. We play parties, restaurants, weddings and school functions like Faith Luthern Fete. City Golf Club and festivals. George has been a driving force for over 20 years in the Brisbane, Gold and Sunshine Coast music scene. Performing in club and Pub venues. with extensive stints at Twin Towns, Kedron Wavell Services Club and both Treasury and Jupiters Casinos. Perfoming in duos, trios and big bands, Holly and the Hitman, Sugar Daddy, Deux Femme and Sugar Daddy Soul Train, all award winning acts. Georgie as a guitarist, has over 30 years, developed a reputation as an accomplished musician in his own right. Georgie, a founding member of Jasper Black, has performed with Jasper Black around the Darling Downs and Lockyer Valley for the past 2 years. George prefers to play Gibson Guitars with Marshall Amplification. Cameron Jull says with no friends and a lot of time on his hands the choice to become a drummer was easy! That was 30 years ago. Now he has an impressive drumming resume including high school drum corps, 5 years drum teaching in a Melbourne music shop - starting with 1 student a week and ending up with over 30, extensive recording experience, and playing in more bands than he can remember across genres such as metal, jazz/rock fusion, funk rock, pop, and modern heavy rock. He even admits to a few appearances on ABC’s Rage with original 80’s pop band Tibet. Cameron prefers to play Sonar drums with Saibian Percussion. He lists Vinnie Colaiuta, Dave Weckl, Steve Gadd, Jeff Pocaro, Ian Paice and Buddy Rich as influences on his style, but none moreso than Virgil Donati. Cam’s drum solos have to be seen to be believed..
Blair grew up in the 70's listening and watching Country & Western music, his Father playing guitar and bass, He Played at Tamworth and also made 2 records. "16yrs of age playing at the Outpost, a night club in the Brisbane Valley, we were on at 2.30 am on a Wednesday night and played to 8 people and 3 were our girlfriends." Playing in several bands in 80’s & 90’s in Brisbane in the Valley scene, then moved in 2005 to Lockyer Valley. Managing a small music shop in Laidley Qld. Took over teaching guitar, bass & uke and still teaches 25 lessons a week. 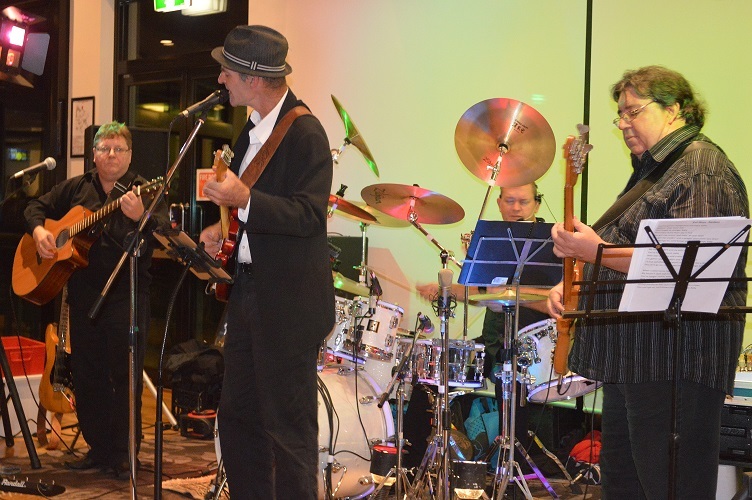 Playing in 3 pub bands in the Lockyer Valley, bass and rhythm, met George in 2010 and formed Ol’Skool; and both formed Jasper Black in 2012 playing rhythm guitar. He plays 1979 Fender Strat he has owned since 1986.